For the hard of hearing it can be difficult to enjoy watching TV without having the volume so loud that it disrupts other viewers who are not hearing impaired, which can cause hearing problems of their own. 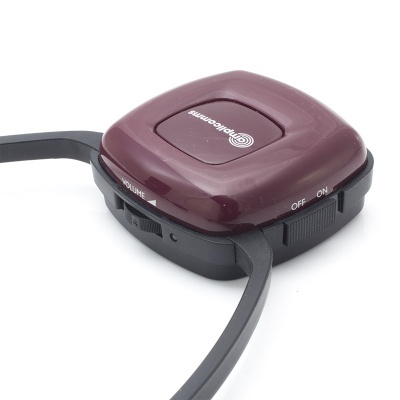 A great accessory for hard of hearing individuals, the Amplicomms TV2500 Wireless Amplified TV Listener Headset is the perfect solution for those who are hard of hearing but who still enjoy a few hours in front of the box. The loud sound provided by the TV2500 makes for clearer TV audio for hearing impaired users. The headset volume goes as loud as 120dB, providing incredibly loud sound which is much easier to hear than standard TV speakers or headphones. 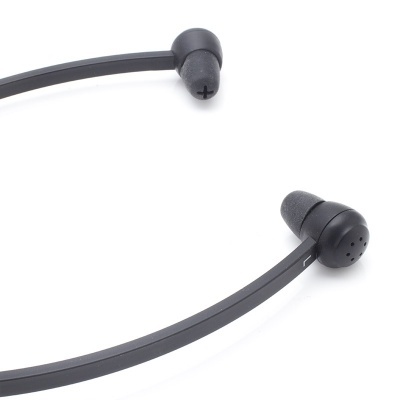 What's more, the headset provides incredibly crisp and sharp audio thanks to the 2.4GHz wireless transmission, which is aided by a host of audio inputs, including a 3.5mm and even an Optical TOSLINK socket for precise audio input. Because it uses a headset rather than speaker, the TV2500 won't disturb other viewers, enabling you to get the loudest sound that's right for you while enabling them to keep the TV volume at a level that's right for them. 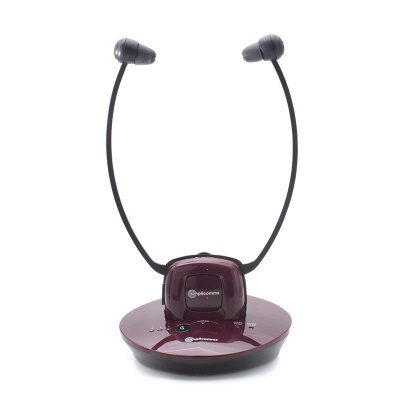 The TV2500 headset is totally wireless, providing you with an incredible level of flexibility in use. 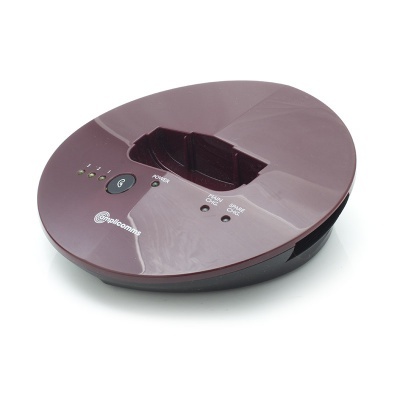 You can sit anywhere in the room and get exactly the same audio quality wherever you are. To ensure the best user experience, the headset has been designed to be as comfortable to wear as possible – ideal for longer periods in front of the box for a film or TV binge! Because it uses 3.5mm and TOSLINK connections, the TV2500 can be used with a range of other audio devices. Most MP3 players, HiFis and smartphones can also be connected to the headset, providing clear audio for a variety of different uses. Range: up to 30 meters indoors and up to 100 m in free field open site conditions.